The T2280+ dot matrix printers are undoubtedly at the pinnacle of serial impact printing, representing the peak of performance in their respective speed segments. They are not just ‘sprinters’; reliable, heavy workload output is guaranteed for the many years following their purchase. The print is crisp, sharp, dark and absolutely legible, thanks to the 24 pin print head. 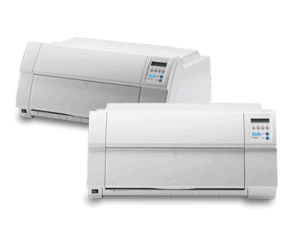 The Tally T2280+ dot matrix printers are the first high speed matrix printers to incorporate Ethernet on-board.